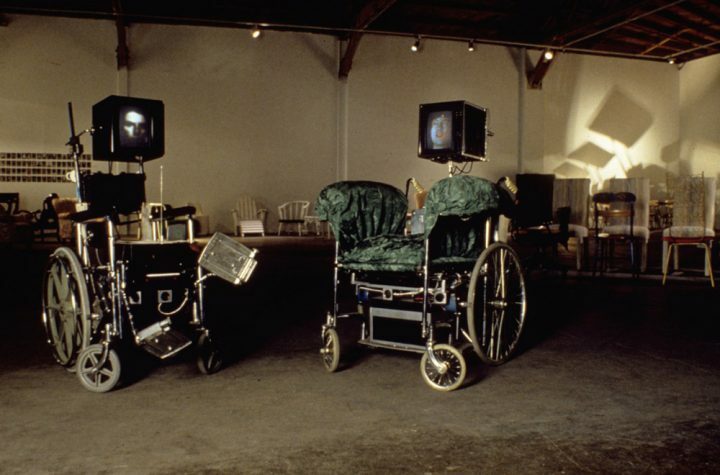 Easy Chair, Electric Chair, video installation with Molly Cleator at Santa Monica Museum of Art, 1992; in Images du Futur, Cité des Arts et Nouvelles Technologies de Montreal, Canada and in Video Reflections of Multimedia Art Works at Banff Center, Alberta, Canada 1993. Our facial images were shown on two portable TV sets mounted on two computer-controlled, motorized wheelchairs. The subject of our unscripted but outlined one-hour recorded conversation was communication. Cleator presented her conception of mass media as a powerful and potentially communicative forum. Bray insisted that mass media blocked communication and inhibited self-knowledge. 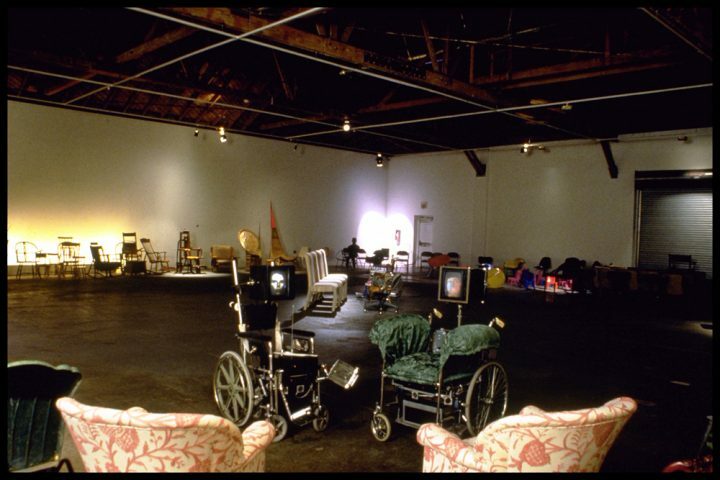 The wheelchairs were ringed by 165 assorted chairs lent by the local community as the wheelchairs collided, conversed, zigzagged and swiveled in an open-ended, videotaped dialogue. 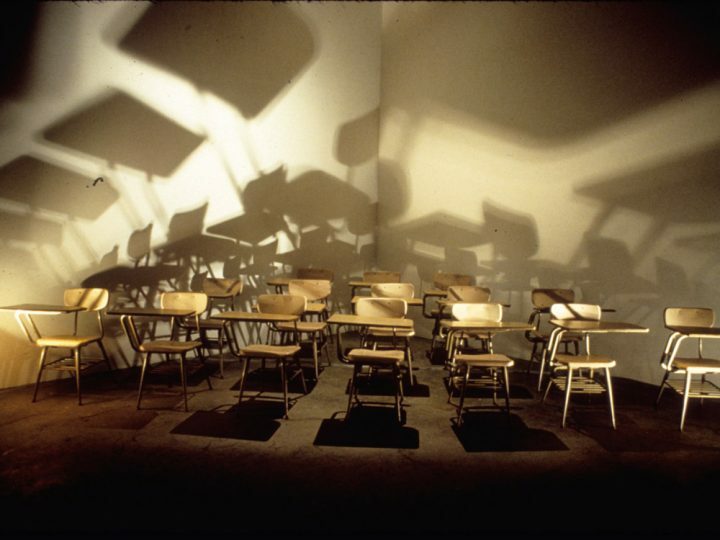 We offered the viewer a choice of chairs as comfortable but challenging new positions from which to form their judgments, observations and projections onto our visual and verbal dialogues.